Savings, nest-egg, retirement fund, ‘putting a bit away for a rainy day’. Call it what you will, but the basis remains the same; it is extremely important to save money. Whether you plan on using it in retirement, or just to tide yourself over in the event of job loss, protecting your savings from inflation is hugely important. In fact, with inflation rapidly accelerating (don’t believe the nonsense you hear about ‘healthy’ inflation on the TV, inflation is just plain bad for your money) it is important to understand what tools and methods you can use to safeguard your savings from inflation. Here at How To Invest In Gold, we are firm believers in using the power of precious metals such as gold and silver to protect your hard earned cash and purchasing power. One of the Caerleon writers remembers vividly the destruction of his own father’s modest (but nonetheless well-deserved) savings at the hands of 1970s inflation in the UK. A lifetime’s scrimping and saving was hacked to pieces in mere years. All around the world the story repeated for millions. Therefore, it is important to note that although this website is primarily about the ins and outs of gold and silver investment, a heavy emphasis will also be placed on using precious metals to safeguard against the most prominent ill of fiat currency- inflation. We simply cannot stand idly by and watch people all over the world fall victim to the destructive powers of inflation, especially as the ‘powers that be’ and mass media continue to largely deny the existence of such a problem in this day and age. So how does one go about protecting savings from inflation using gold and silver, in order to preserve purchasing power? The simple story is that precious metals increase in value as the worth/value of paper currencies (such as the US dollar, UK pound sterling, or Euro) decline due to excessive quantity and circulation. You cannot print gold. You cannot just press a button and have billions of dollars worth of silver added to the global supply. Because of these ‘inconvenient’ issues of finite supply and geological phenomena, gold and silver are excellent stores of value. 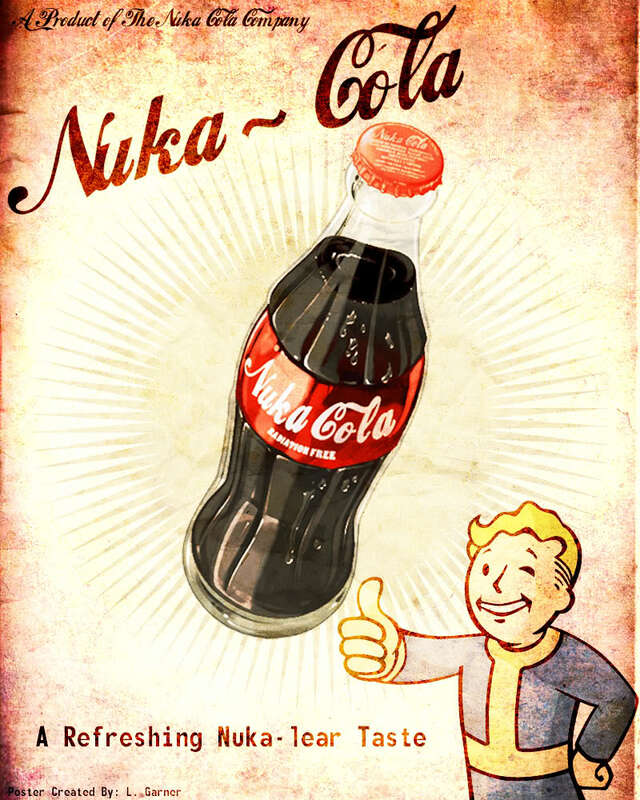 In the post-apocalyptic world of Fallout, cola bottle caps became currency. Think that would never happen in real life? Think again. If total faith is lost in a currency, as is the case in a nation such as Zimbabwe, precious metals simply skyrocket in price. This occurs alongside anything tangible that represents a finite, limited item. Intrinsic value is not even that important- all sorts of crazy objects have become money throughout history. The Fallout series of video games provide a fantastic insight into alternative forms of currency. With the collapse of any form of structured and accepted government, government-issued currency became completely worthless. Instead, people trade bottle caps as currency in this game world. Why? Using reasoning, one would suggest that it is because bottle caps are portable, can be divided into a set quantity, have intrinsic value of use, and are limited in supply. Fiat money, issued by governments and bankers, has no intrinsic value of use, and is unlimited in supply. This is exactly why it becomes worthless in times of crisis. In fact, for most of history, money was not considered to be a wad of green paper bills, or a ‘flexible friend’ credit card. If a time traveler from the Roman Empire appeared today, he would likely be awestruck at the bizarre notion of ‘money’ we have today- silver coins that aren’t made of silver, gold coins that have no gold, and paper bills that are more valuable than metal. Fiat money is a relatively modern invention, and whilst it has enabled economic growth and expansion, also brings a terrible cost. Even in more ‘mild’ economic climates, where the government is unlikely to collapse but inflation is still a concern, protecting yourself by investing in precious metals is prudent. With modern trading platforms such as Bullion Vault you can buy gold and silver in convenient gram amounts, and then watch the value increase as fiat currencies wane in power and prestige. This is a highly complex issue, which we will cover in further detail. However, for now you need to understand that in order to protect against inflation and guard your purchasing power, you really should have some precious metals in you investment portfolio. For further information get yourself a copy of ‘Golden Bull’, our in-house gold and silver investment guide. It contains impressive quantities of research and insight into the nature of money and inflation, as well as the necessity of precious metals investment for anybody concerned by inflation. What are you going to do to protect your savings and purchasing power from the ravaging storm of inflation?